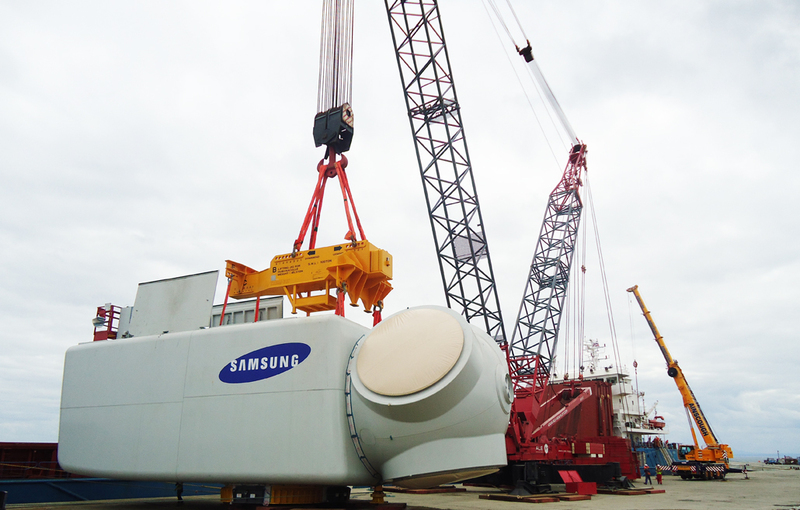 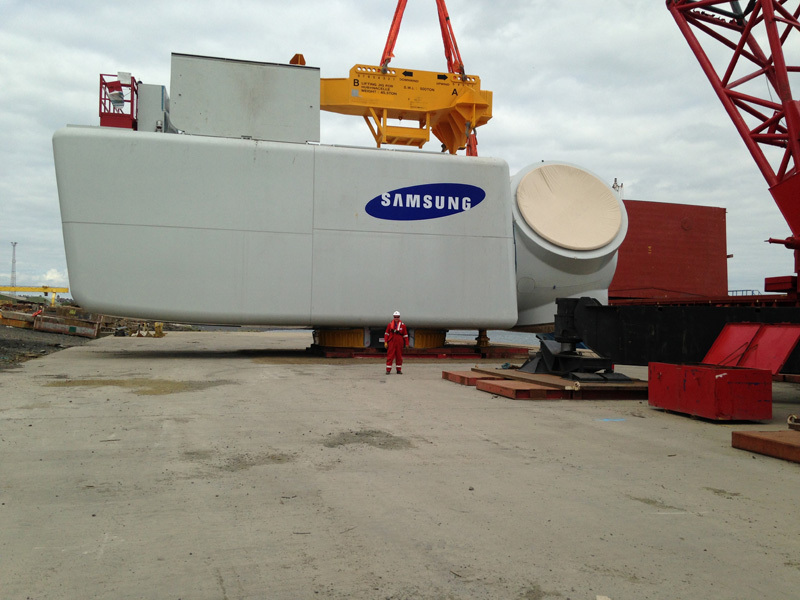 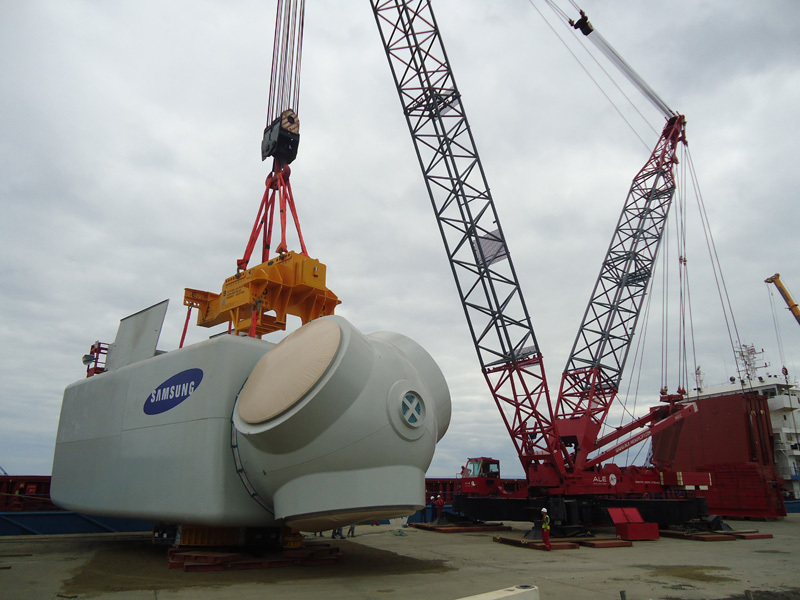 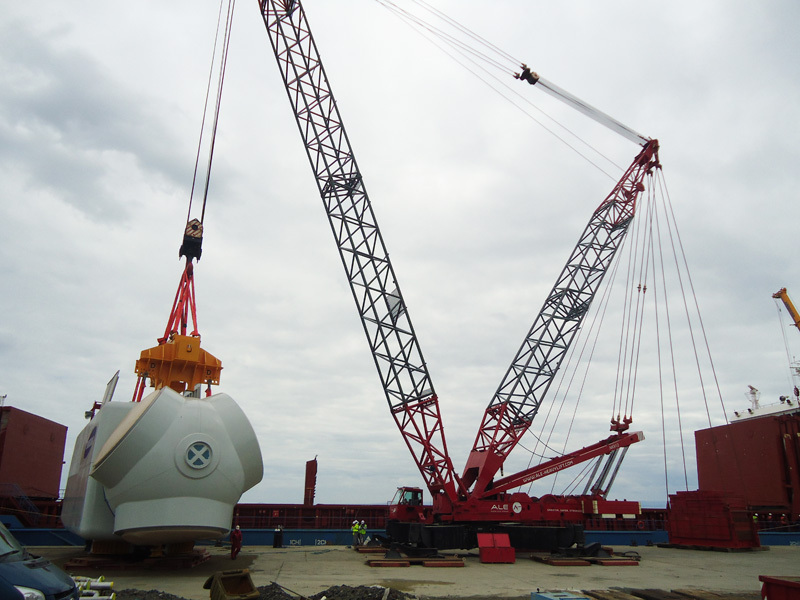 This Nacel Turbine was shipped into Methil Scotland. 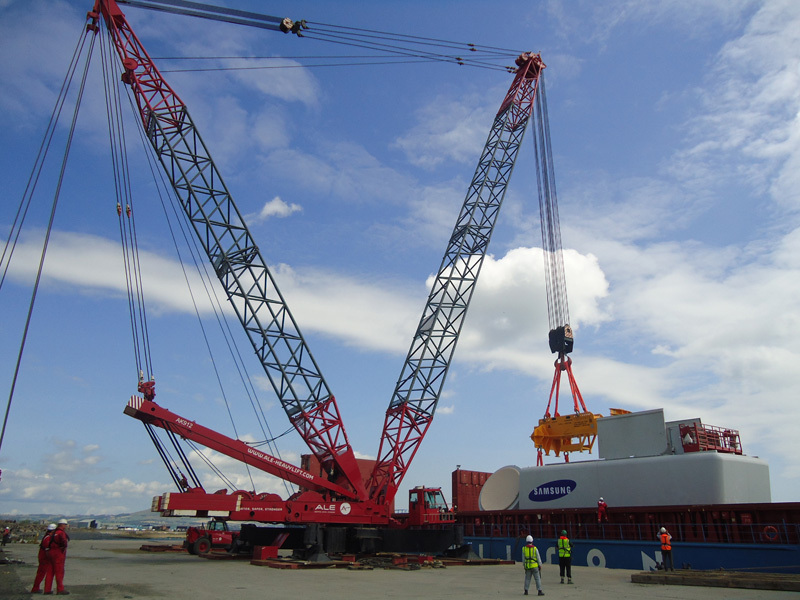 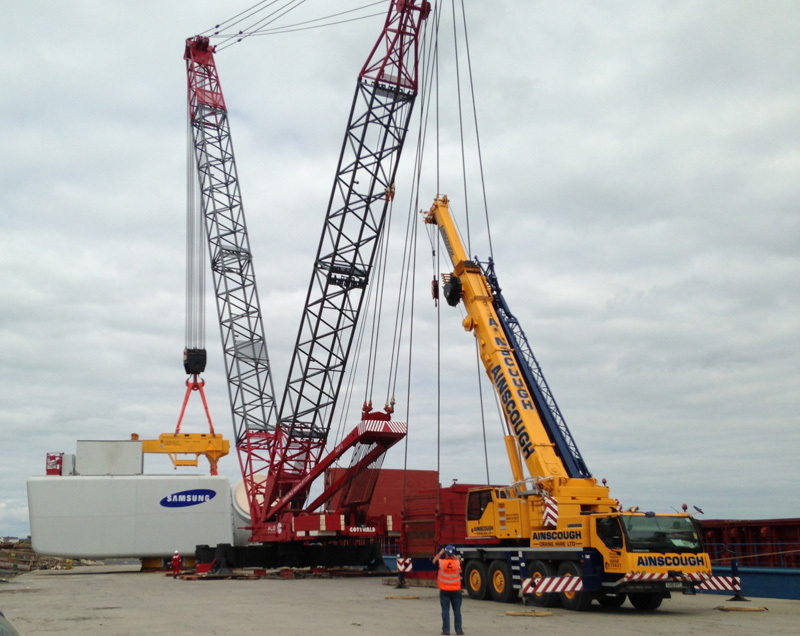 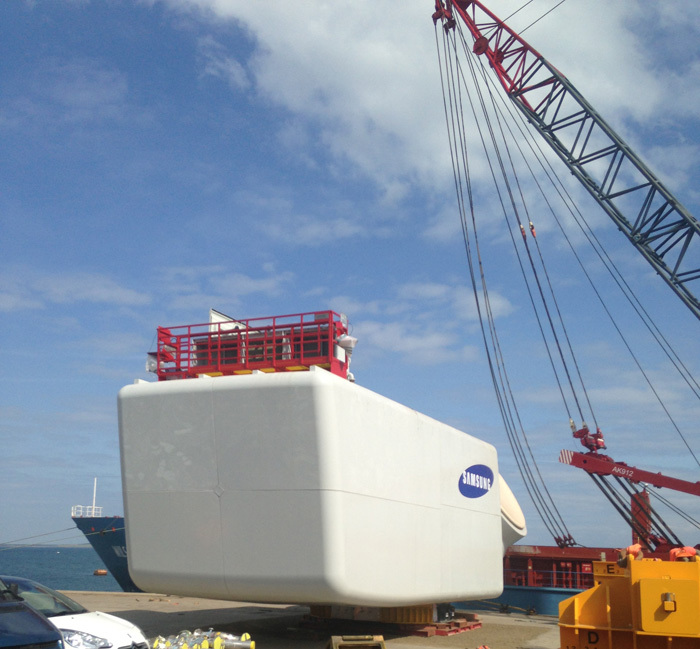 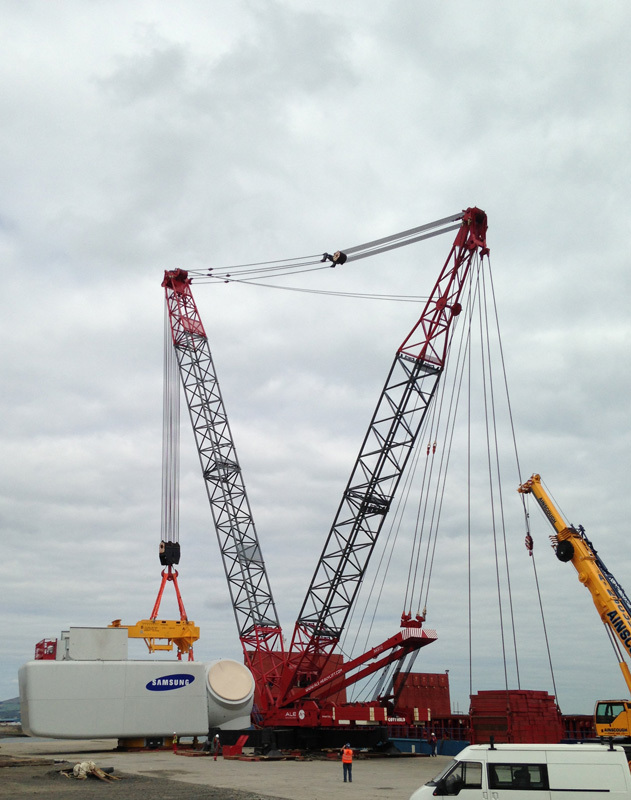 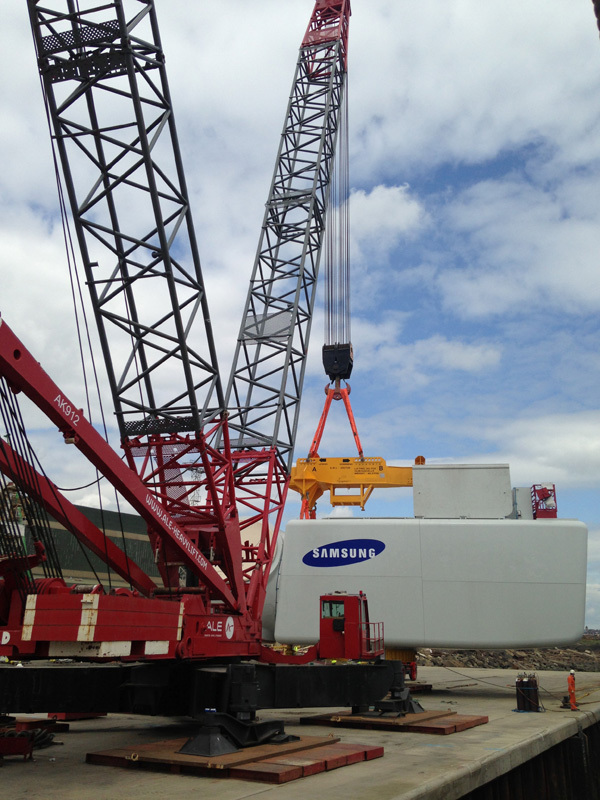 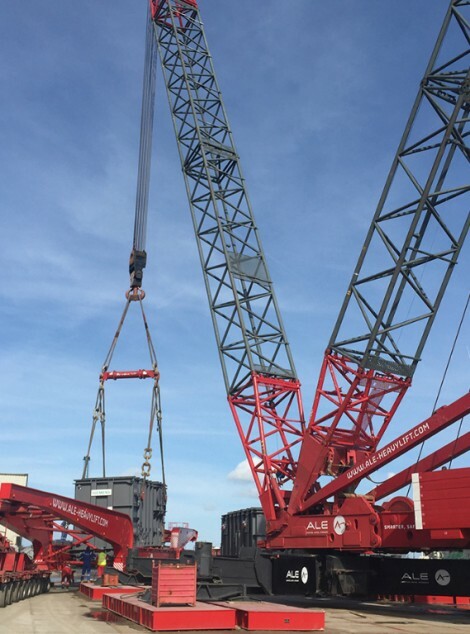 This Nacel weighed 480 tonnes and was lifted using a Gottwald AK 912-1 Crane. 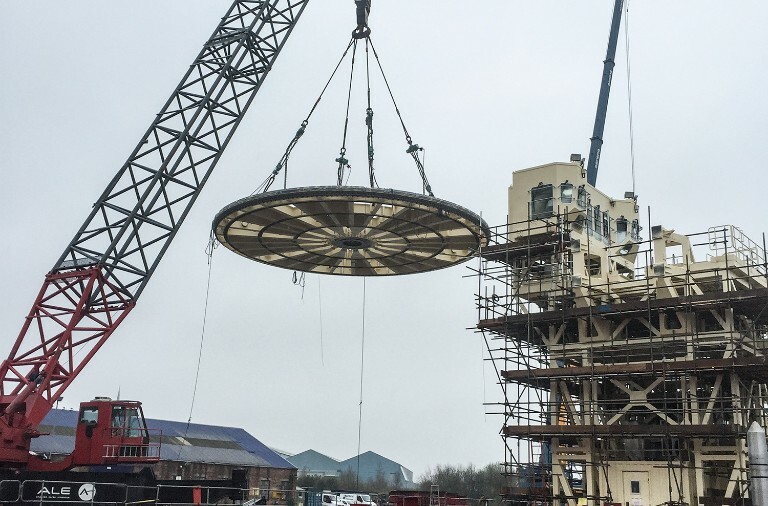 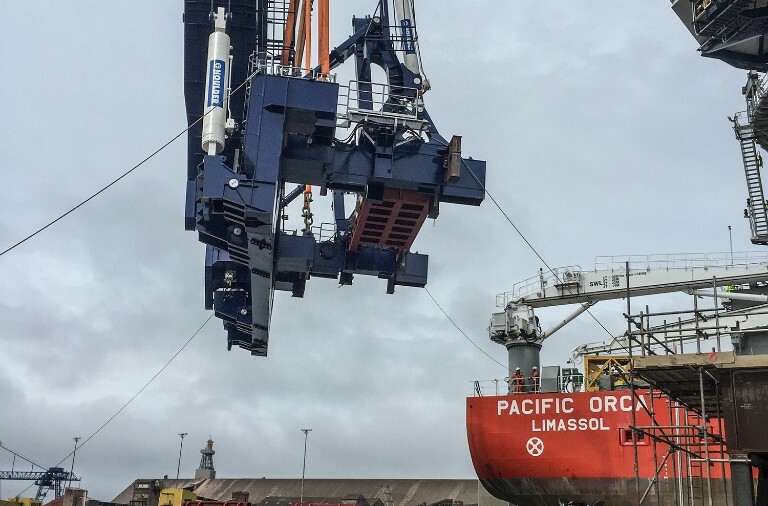 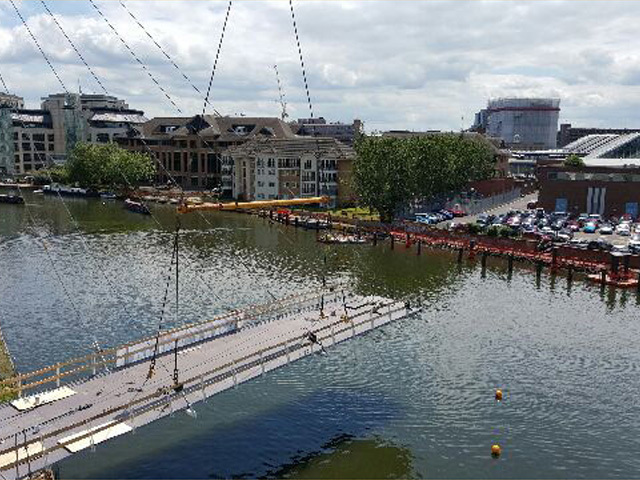 The Nacel was loaded on to the Quayside and was later re-lifted onto Self Propelled Modular Trailers (SPMT) and taken up to the installation site. 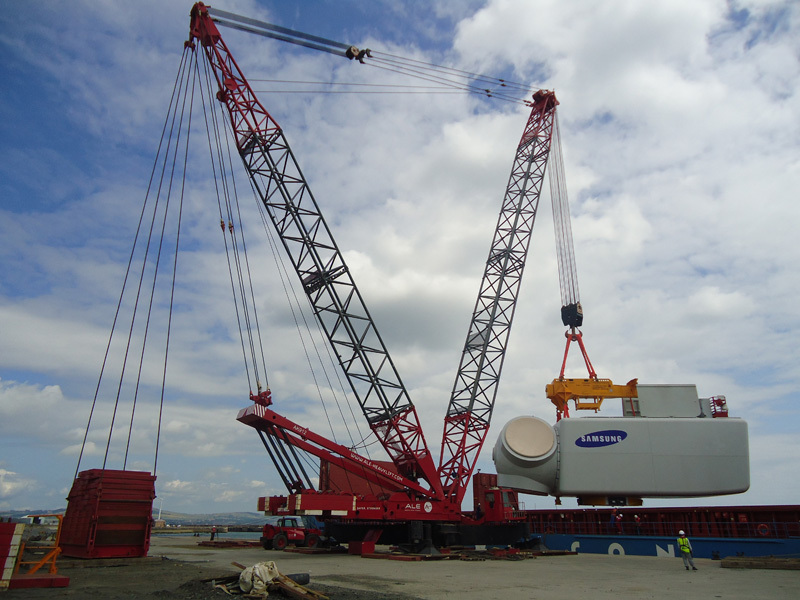 Total lift weight was 525 tonne.